Exactly! White against black? White gets to move first? How is that not racist?! You know, I don't really care. I got the idea after I played my first chess game in months. *Follow the rules of chess. Duh. *We will play by having people post one move at a time. I will update the below image whenever I can (about once a day) so we can keep track more easily. *We may not post moves twice in a row. This will avoid playing against oneself while giving more people a chance to take a turn. *Don't lose on purpose. This will make it less fun for the players. We are, however, not limited to playing for just one side. 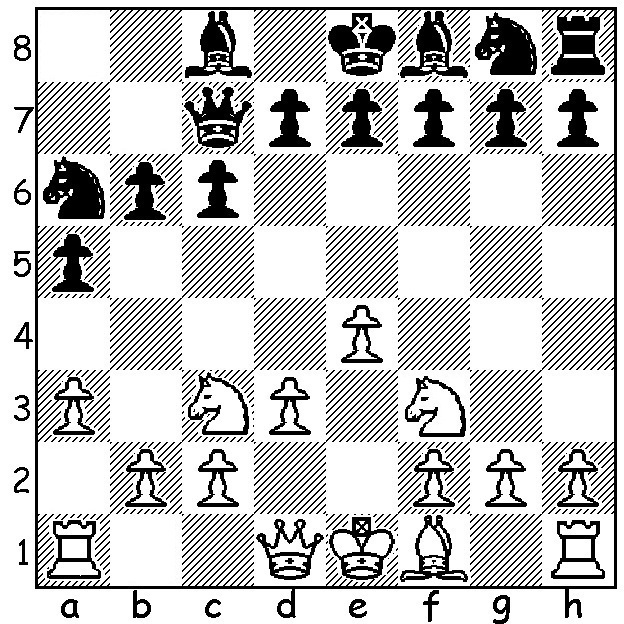 Pieces: Pawns will simply be denoted by whichever square they're from. Rooks/Castles will be R, Knights/Horses will be N, Bishops as B, Kings as K, and Queens as Q. Re: A Clash of Kings! A Chess Board. @GG: Really? O_o Never heard of THAT. 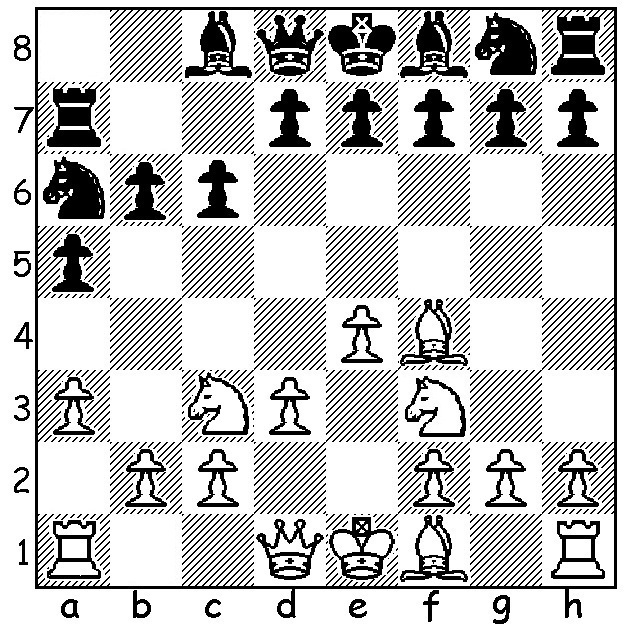 @Ud: that's one of the usual chess move notations. I'm using a simplified version for this game (look at the OP). d2 - d3 | ??????? *EDIT* Also, the pic above shows b7 - b6 happening at some point. It's Ud's fault... He needed to move for Black not White. Is the bolded supposed to be for B row pawn, or the F row pawn real quick? I thought that was f7-f6. It is the f row pawn... What the hell? I have mostly worked out what's wrong. Ud's already fixed his move, but I seem to have moved the b row pawn last time instead of the f row one. I can still change it, if need be. Updated. Am currently keeping the b-pawn move. Should we change it to f-pawn? I suggest you just scrap the thing, start over from scratch, and redo all the moves with my corrected action. Game Guru doesn't seem to mind, so I say we keep it as-is, since you had the B-row pawn out the entire time anyway. Which side's turn is it now? Updated, along with my first post on this page to make it easy to follow.